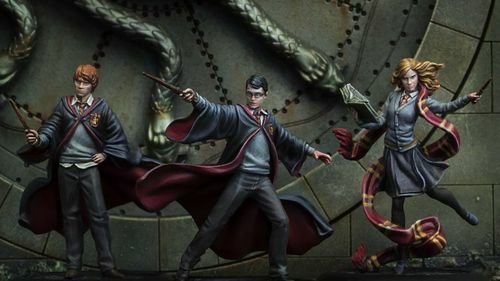 I absolutely love Harry Potter! I one time watched all 8 movies straight through in one day. Needless to say, I'm extremely excited for this. I have a questions and a request or two. 1. When is the kickstarter date or when is it currently estimated? 2. Please don't include any stills or screenshots taken directly from the movies. It's lazy and uninspired in my opinion. Most people I've talked to (albeit, not all) really prefer original art for board games. 3. Please don't put this in a tin. Most board games don't stack well in a tin. This will be a deterrence for me backing if it comes in a tin. I really hope this game is catered toward the board gaming audience. That audience is probably the one that will back your kickstarter the most. Therefore, it's definitely important to cater to this audience. Running different polls here on BGG could be a great way to gauge public opinion, as I know my opinions are surely not the only opinions. I can't wait to see the kickstarter! Thanks for making this game around a beloved IP! The kickstarter begins March 14th. From what I can tell, I don't think the creator is active on this website or this game page listing. The game certainly looks like it's made for gamers though. The paint jobs on the minis in their promo shots are top notch. Everything looks like it's the highest quality you could expect. The gameplay is still very much a mystery though. thanks for letting me know about the date, and that's a keen observation! I'm really hoping this game is amazing. I love seeing one of my favorite IP's come to life on the table. Hopefully the concerns above are considered for the kickstarter. The paint jobs on the minis in their promo shots are top notch. Yea, im just saying that the fact that they commissioned such a good paint job shows a general focus on quality, and reflects greatly on the production value. The likenesses to the actors for most of them is pretty remarkable. I would say Hermione is the exception. I wonder if they had to get permission from the individual actors? I'm a little put off of resin KS in general because resin is not recyclable, meaning that resin miscasts can result in cost overruns more easily than metal. Of course, if the game is out of my budget, none of these will be problems for me...! Unpainted is a positive for me - part of why I get minis games is to paint them. Excessive, fiddly assembly could be a deal-breaker though. As could cost, as others have said. 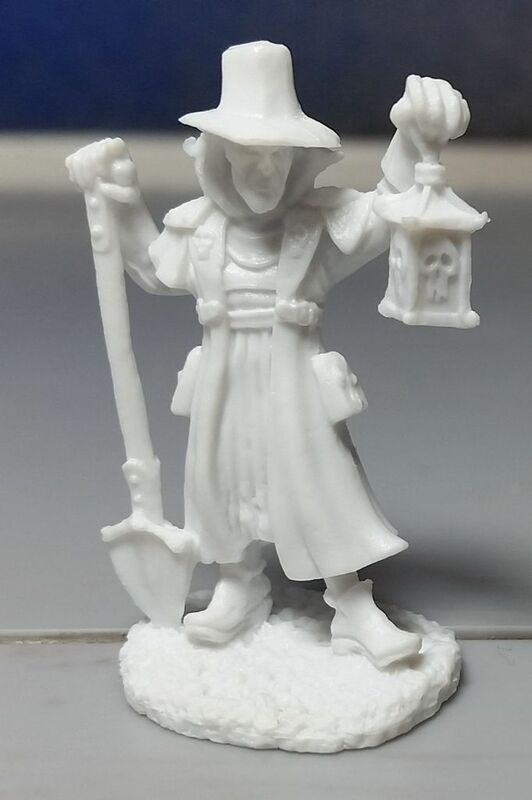 I'd like to see a pledge tier that includes painted mini's, for those like me who don't feel they're good enough at painting mini's to do these characters justice. Same here - I'm terrible at painting and don't want to risk spoiling the miniatures. I have War of the Ring and Star Wars Rebellion so and would love to have some come painted for a change! Did they actually use 35mm miniatures for the promo pictures? Admittedly I'm no painter, but to achieve such levels of detail seems extraordinary to me. All in all....they better get ready for a mass amount of backers. I'm sure those are the real miniatures. Most painting companies offer cheaper "tabletop quality" paint jobs, and then they offer increasing quality and cost up to really expensive "competition quality" paint jobs. Knight models definitely paid the most money for the best possible paint job. Nothing about these is unrealistic to achieve, but it's a lot of time and money to get that kind of result. They're really really good, but not even the absolute best or most amazing thing I've ever seen. It's mind blowing what some painters can pull off. So measuring about 1mm in diameter, the painter has defined Harry's spectacles and has also managed to provide eye detail within? Some painters have a brush that contains a single bristle for painting details like that. 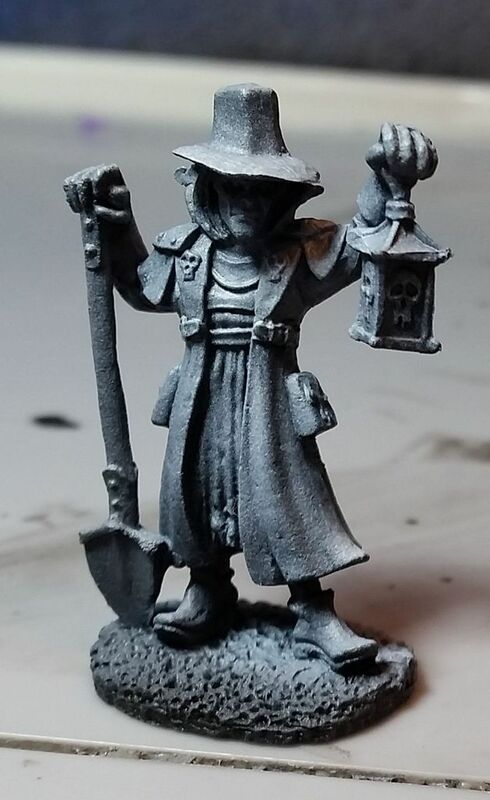 I would prefer to get basic coloured minis - like those in Betrayal at House on the Hill, over unpainted grey ones. I've got no particular interest in painting minis and I find the plain grey does look a bit dull on a game board. Would be nice if they offered this as an option on the KS. With gray minis you could always do a zenithal prime. It brings out the detail and is pretty quick and easy. I did these with an airbrush, but you could always substitute one can of black primer and one can of white. If you really want to get fancy use black, gray and white. Just start by priming the mini black. Then, at a 30' or so angle spray the white lightly from the top to hit all the top surfaces. If you want to add a solid color, start with black for shadows, the do your primary color from the top but a wider angle, then finish lightly with white for highlights from the top with a narrower angle. Since you're just spraying you can do a ton of minis in a short time. This is kinda the same thing Awaken Realms is doing with their "Sunspot" shade/wash on all of the minis for Lords of Hellas and Nemesis, right? Pretty much everything I said followed by a colored wash.
That's the approach a lot of people are taking with Rising Sun, and there are lots of tutorials in the Rising Sun forums.